Lilies blooming in the Cahaba River at Hargrove Shoals, Alabama. As Native nations at Standing Rock and their allies continue the struggle to stop the Dakota Access Pipeline, the battle to end environmental racism and corporate pollution of water and land is also underway in Alabama. Running through Centreville, this writer’s small hometown, is the beautiful Cahaba River, the last free-flowing river in the state. 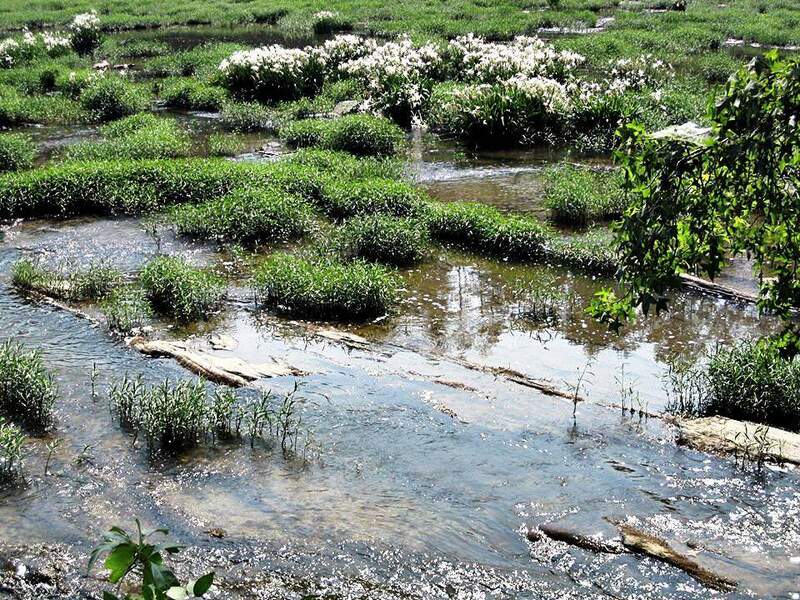 It blooms every spring with constellations of Cahaba lilies in its rocky shoals. The Cahaba’s flora and fauna are so varied the Nature Conservancy has named it as one of eight “hotspots of aquatic biodiversity” in the U.S. that must be saved. And the river is the primary source of drinking water for the city of Birmingham, in which one-fifth of the state’s population lives. Before the leak could be stopped, more than 335,000 gallons of gasoline spilled. The Cahaba was spared only by a lucky fluke. An old mining retention pond caught the gasoline, and several days of very dry weather kept it from flowing into the river, where it would have killed everything in its wake. 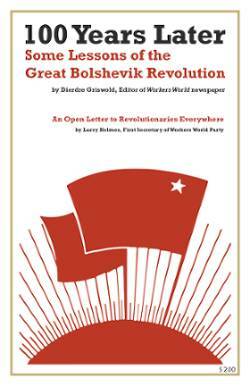 Seven hundred workers labored for days under very hazardous conditions to pump out the gas and haul it away. The governors of Alabama and Georgia declared a state of emergency over this latest catastrophe — not because the environment was threatened but because it caused fuel shortages at gas stations. No state of emergency got declared for the aging infrastructure or for the lack of union protection for fuel-soaked workers cleaning up the disaster. 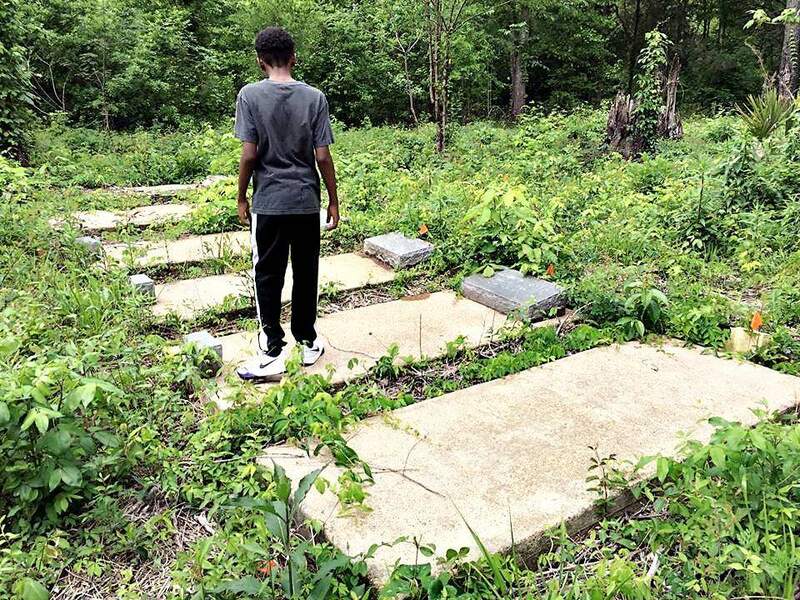 Historic African-American New Hope cemetery, sacred space threatened by for-profit coal ash landfill in Uniontown, Alabama. Meanwhile, 50 miles to the south, people are fighting a different environmental disaster. In Uniontown in Perry County, Black and white residents are battling coal-ash contamination of their air, dirt and water by a for-profit landfill. On Sept. 29, Black Belt Citizens, a grassroots environmental justice group, spoke out at a hearing against the state’s renewing an operation permit for the Arrowhead Landfill. The landfill is located in the town, directly across from where people live and children play. Almost 4 million tons of coal ash got dumped in the landfill after a 2008 containment failure at a federally run Tennessee power plant. BBC also cited a Sept. 23 report by the U.S. Commission on Civil Rights (Eastern Regional Office), highlighting multiple failures of the Environmental Protection Agency, including disposal of toxic ash in Uniontown. The toxic substances in coal ash, including mercury, selenium, lead, manganese, chromium, cobalt, magnesium and arsenic, mean that all people exposed to the ash have increased health risks, including cancer, to their lungs, liver and kidneys. 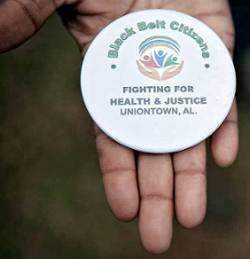 Black Belt Citizens, whose motto is “fighting for health and justice,” grew from Black and white residents forming Concerned Citizens of Perry County in 2003. They filed lawsuits to stop the landfill and spoke out to educate about its dangers. BBC continues to connect the local struggle with other issues, and recently issued a statement in support of a prisoners’ work strike called by the Free Alabama Movement. Perry County’s 10,000 people are about 90 percent African American, descended from sharecroppers on local plantations where their ancestors were previously enslaved. The historic New Hope Cemetery, the burial ground of generations, including people who had been enslaved, is now being threatened with road construction and monitoring wells connected to the landfill. “Uniontown is in a battle to protect sacred space from toxic waste. Today we stand with all peoples fighting for self-determined liberation, fighting for clean water, fighting for equal rights. Today, we stand with Camp of the Sacred Stones. Today, we stand with Flint. Today, we stand with our ancestors who rest at New Hope Cemetery. Today, we stand against #EnvironmentalRacism.